Wedding season is perfect for Hotfix Rhinestones. 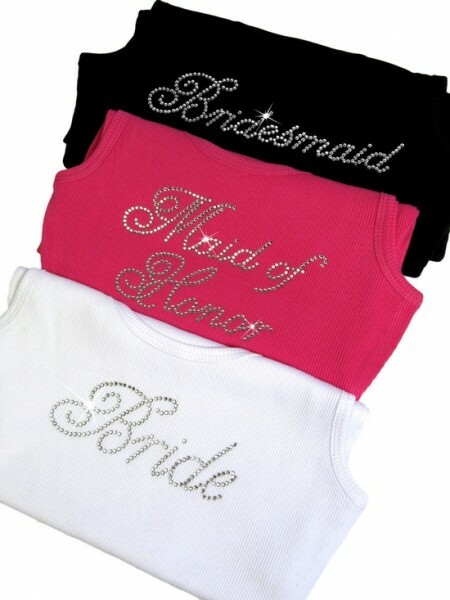 Matching bridal shower apparel, gifts and other garments are ideal for adding a touch of fun with bling! Designing for several matching garments, like a bridal shower party, design size is important. Some tips for choosing a properly sized hotfix rhinestone design. Now is the perfect time to think about a few spring- and summer-season hotfix rhinestone designs. Creating transfers in advance with the Brush-N-Bake Hotfix Rhinestone Decorating System featuring StickyFlock Template Material can help you be ready for a rush of springtime orders. One of the best ways to promote your HotFix rhinestone designs for this time of year is through weddings and bridal showers. The period from March-June is a popular for falling in love and getting married. Hotfix rhinestones can make items for festive, elegant and fun events such as wedding apparel, bridal shower outfits and springtime parties ! Start by choosing one of many existing templates for your wedding style. Better yet, you can make fun custom hotfix rhinestone designs with the Sierra Hotfix Era software, and cut them straight into the StickyFlock Template material with your Graphtec CE6000-40 Plotter/Cutter. StickyFlock is perfect for making designs beforehand. Simply attach the StickyFlock hotfix rhinestone stencil to a piece of BackerBoard and store it away for later use. That way, it will be ready for when you need it. Have some prepared, so the bride-to-be doesn’t have to all day looking for just the right design. In Hotfix Rhinestone design, size does matter! Having the right hotfix rhinestone designs, especially for a collection of matching garments like those worn by a bridal party, means selecting a pattern that will fit nicely on a variety of sized garments. It can be difficult for your customer to get a rhinestone design they love and are ready to buy, only to discover it has the same problem that plagues most online rhinestone templates—they are too large! 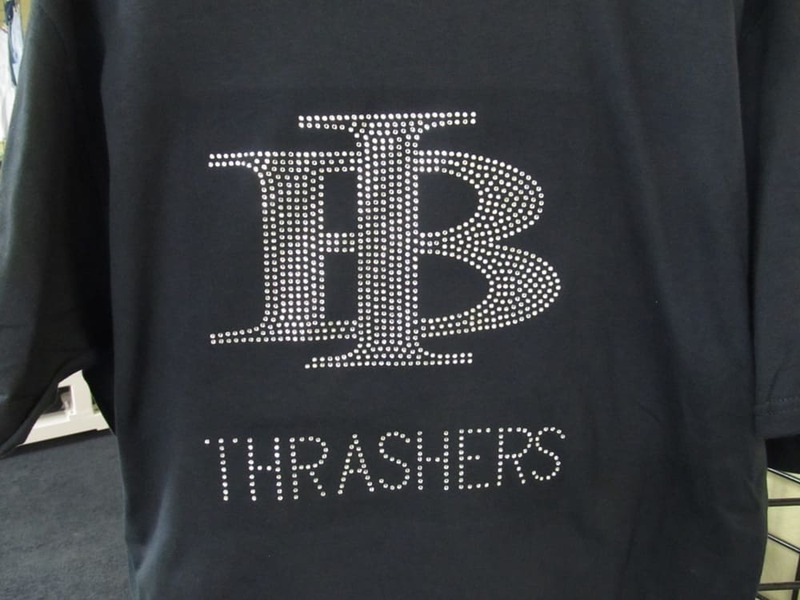 Many rhinestone customers who like fitted t-shirts with a rhinestone design cannot take a design that is more than 8” to 8.5” across. Any wider, and the pattern starts going under the arms. Creating a hotfix rhinestone design that is large, around 10.5″ across, will not work well on a number of women. When creating a specialty summer rhinestone design, especially for events like spring weddings, you should consider most customers will require a design to stay under 8.5″. A few rhinestone designers will encourage substituting SS06 stones for larger SS10 hotfix rhinestones. This will surely get the design to be smaller, but that could lead to other placement problems, with maintaining the curvature and the like. It’s easy to make larger rhinestone designs that are large! The hard parts (and the reason most people are willing to pay you extra) are creating beautiful designs using SS10 stones (the most popular size), and keep them at a reasonable size. Since weddings are events that involve entire families, children also can be an essential part of a wedding. 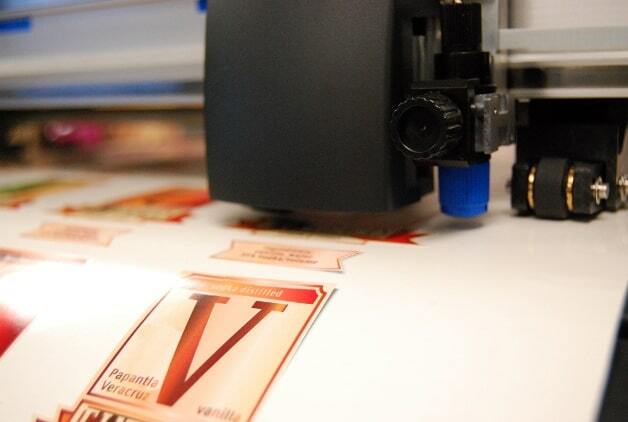 Many designs for kids should be around 6” wide as opposed to adult transfers that typically range from 8” to 11” wide. 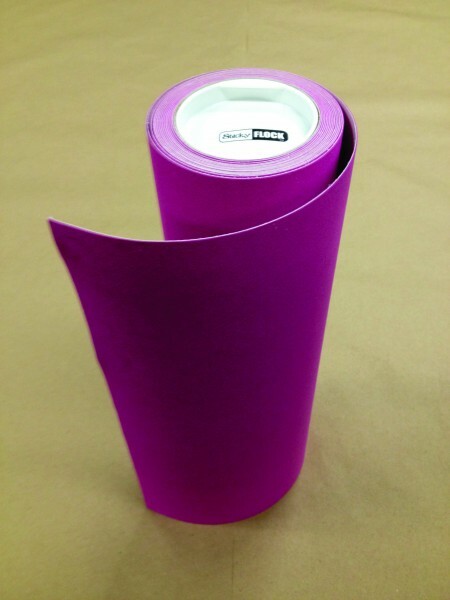 A majority of customers will buy beautiful designs that fit in an 8” to 8.5″ size requirement. Others might pass on other designs, simply because they are too large to fit the garment properly. Not only wedding clothing, but all sorts of bridal accessories can be decorated with hotfix rhinestones. From hats and gift bags, to champagne glasses and even matching Bride/Groom cell phone covers can be made fun. Just use Hard Surface Decal Material (also included with the Brush-N-Bake system), and almost any surface can be a part of the celebration! Selecting hotfix rhinestones for a bride’s momentous day should be fast and easy, and one less stressful decision for a wedding planner to make. With the Brush-N-Bake system and StickyFlock, a spring wedding or bridal shower can be filled with sparkly fun! 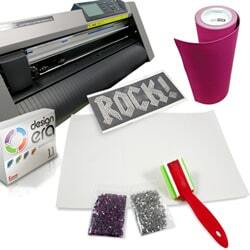 Starting a hotfix rhinestone decorating business is easy, with the Brush-N-Bake Hotfix Rhinestone Decorating System featuring StickyFlock Template material. For more details, visit www.ColmanAndCompany.com or call 800-891-1094 today. Do you have some tips for great hotfix rhinestone design for weddings and bridal showers? Let us know in the comments below!